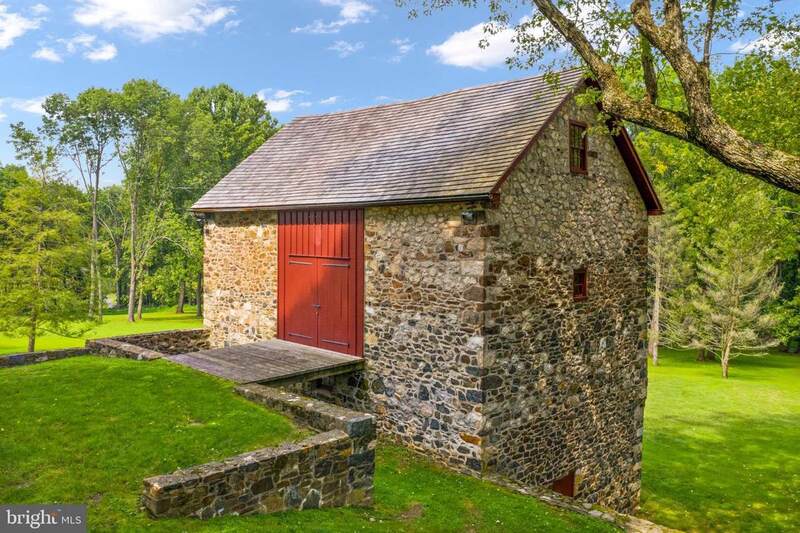 White Tail Run is a graceful Private Estate located in the heart of Chadds Ford and minutes from banks of the Brandywine River. Property is currently undergoing subdivision to be 15+/- acres depending on owners and engineer final approval. Property will still remain in Ag 319 tax status. An additional 10+ acre lot (pending subdivision) is available as well under a separate listing. 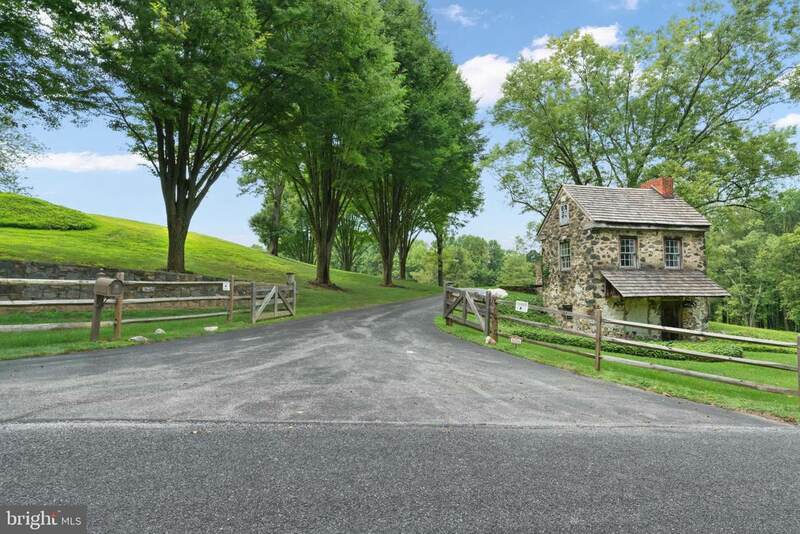 White Tail Run is an amazing estate and is nestled on a secluded country road and surrounded by estate properties. 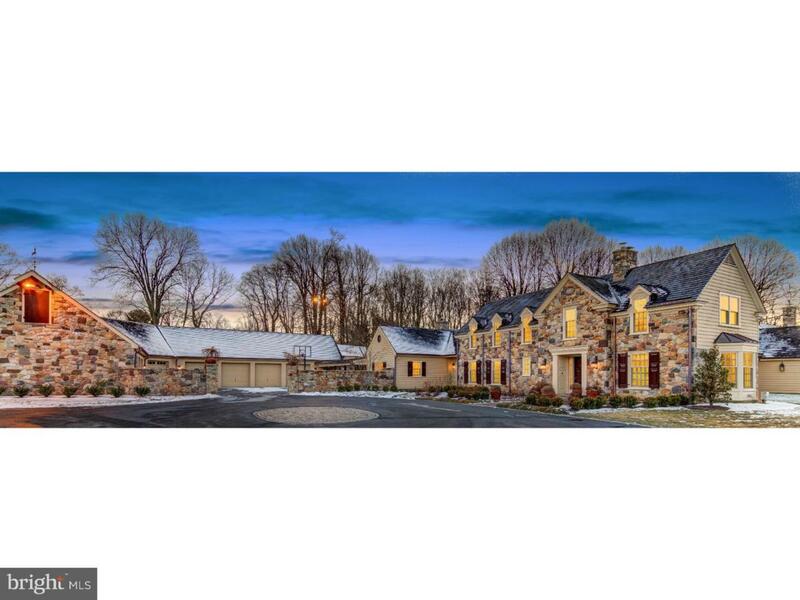 This wonderful home enters into a sweeping gated driveway entrance with restored stone barn leading to the welcoming circular Belgian block lined formal entrance with adjacent courtyard complete with 7 car garage and separate workshop. The home is set at the top of the property to maximize the view of the surrounding area, water view of the pond, yet hidden from the road. 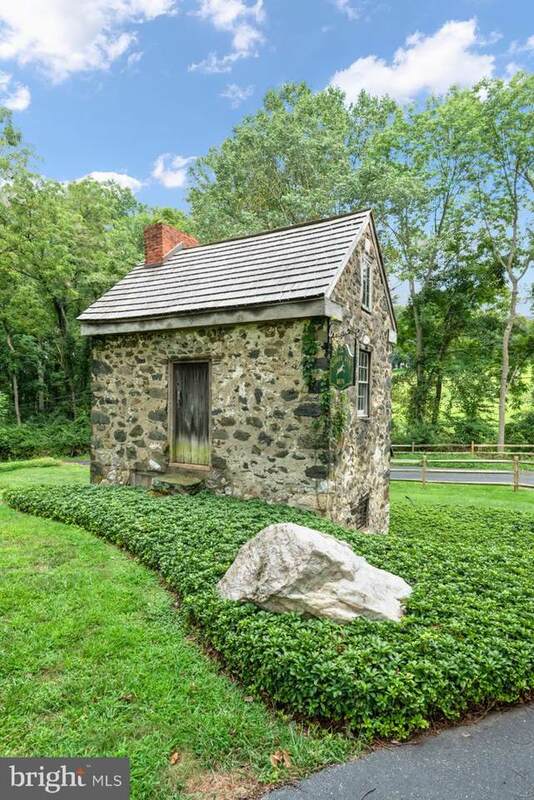 ~The surrounding land in Chadds Ford's "gold coast" is riddled with conserved properties yet this property has been left as is and could have additional building lots or could be conserved, serving as a large tax benefit for any owner. The home's stone exterior is detailed with craftsman appointments: ~brick pathways and recently painted crown molding - giving the home an old-world feel. ~The new cedar roof and copper downspouts add to the charm. Upon entering the 5 bedroom/6.2 bath home, you are immediately aware of the solid craftsmanship and architectural details that abound throughout, from the variation of the random width wood plank floors, solid wood doors, and beautiful wainscoting to the thought and detail applied to the home's systems. A completely new kitchen (2017), dining room (2015), family room and mudroom is perfect for any busy family while the space and the flow make entertaining a delight. The French doors from the kitchen area complete the flow, leading to a flagstone patio overlooking the pond and rolling hills. The home's first floor contains the master suite with his and hers baths and dressing areas. ~Two more bedrooms, each with bathrooms complete the first floor wing accessed by a hallway off of the living room. ~The sun porch area connects to the formal living room and further connects to the cozy paneled study with a fireplace that will warm you up all winter. Two more bedrooms and baths are on the second floor connected by a large hallway that is currently used as a study area. ~Finally, the home's lower, level besides housing all of the home's mechanicals, has two sections with separate stair access; one with an office and playroom and the other with a large workout room, four extra-large cedar closets as well as very generous storage and of course a large safe.